New-media developer, designer, author and trainer with a strong background in application development for the web, mobile and offline platforms. Matt has worked with companies/studios including Adobe, Delphi, Media-Fuse, Litl, CrowdFusion, PhotoshopCafe, Kineticz Interactive, Organi Studios and Orcamedia. 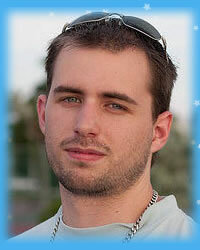 Matt has authored the Flash and PHP bible, co-wrote the Java and Flex Integration Bible and Foundation Fireworks CS4. Matt has also had his work published in various technology books. He holds an ACE (Adobe Certified Expert) certification for Adobe Photoshop CS4 and works closely on new and upcoming technologies from Adobe and other technology companies. Learn how to create card flips in Catalyst, spinning planets from a single image and animated steam shovels without one stop in the Flash Script editor. Rob is the author of the Flash Catalyst Bible, Teach Yourself VISUALLY: Web Design and the forthcoming Android: Fully Loaded. Matt has authored the Flash and PHP bible, co-wrote the Java and Flex Integration Bible and Foundation Fireworks CS4. Dee runs the KCWebCore Adobe User Groups all over Kansas City, MO. Learn how to encode video for streaming and determine which browser and/or device to play it on.